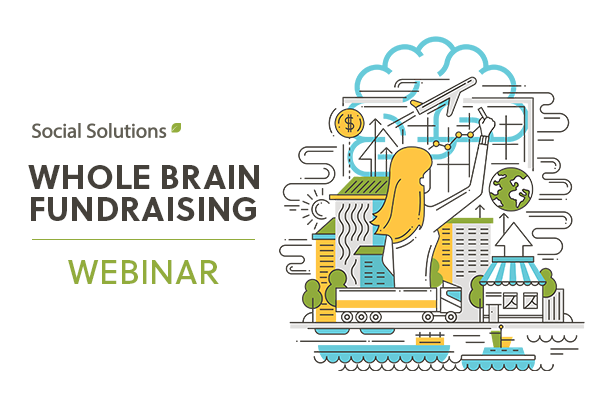 Good fundraising becomes great when nonprofit organizations strategically appeal to both sides of the brain – the left with data and the right with stories. The combination of data and stories demonstrates scale, proves impact, speaks to the heart, and, most importantly, raises more money for an organization’s mission. Rich Dietz began his nonprofit career when he was the director of a mentoring organization in college, and went on to get a Master’s in Social Work (MSW) from the University of California, Berkeley. He has spent the last 20 years working both in and with a wide variety of nonprofit, political, and government organizations, as well as technology companies focused on the nonprofit sector. His unique background allows him to help organizations maximize their fundraising efforts. Cheryl Black is a director at Social Solutions, a leading provider of case management software for nonprofits. She is committed to sharing research, best practices, and technology opportunities with nonprofit leaders across the country. A lifelong volunteer, she has interned, volunteered, or worked on-staff with more than a dozen nonprofit organizations. Liz Mester is the Director of Communications & Engagement at WINGS for Kids, a youth-serving organization with 20 years of experience teaching social-emotional skills after school. For 15 years, Liz has worked for nonprofits in several capacities: administrator, volunteer coordinator, fundraiser and now communications. She is obsessed with brands, culture, and connecting people to causes and each other. Which best describes your programs?